Do you take photos? Do you take a lot of photos? Do you have a hard time finding space on your phone for all of them, and you’re forced to delete some so it doesn’t crash? Do you have an awesome digital camera and you snap a thousand pictures at your sister’s wedding/beach vacation/snowboarding adventure only to leave them sitting on your computer taking up space? Then, when you want to show them to someone, do you spend 95% of the time scrolling for that specific one? 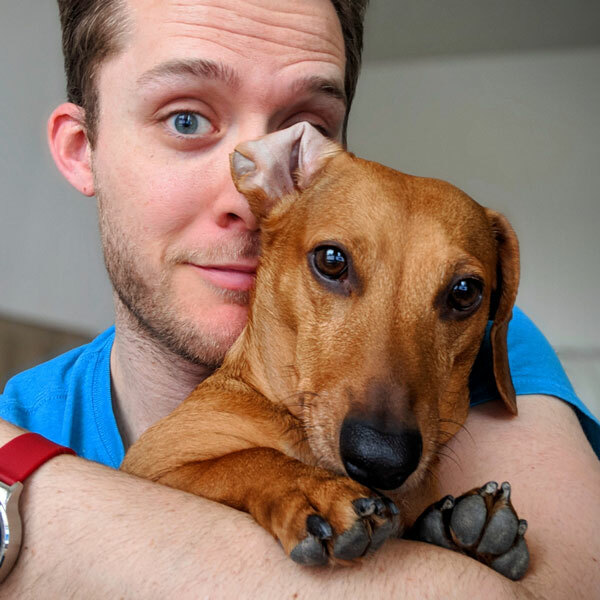 Google Photos is here to change your life. Google Photos wants to automatically backup, organize and enable you to share your photos with who you want, when you want. 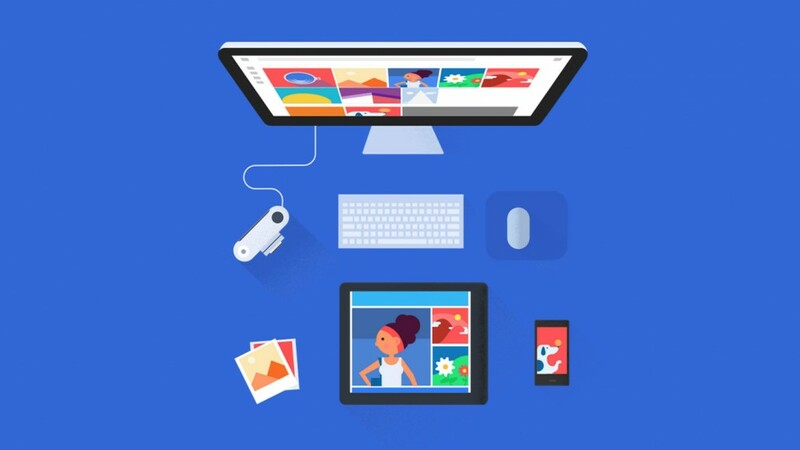 You can download Google Photos for your phone or tablet, or access on a desktop browser to have every photo (and video) on every device synced and available everywhere, with absolutely free storage forever. The only caveats are that photos are stored at original resolution up to 16 megapixels or compressed to same (which would still allow for a beautiful print at pretty large sizes) and videos are stored at a resolution up to 1080p HD. If you’re on the home screen of the mobile app, you get a reverse chronological view of your photos. The most amazing part of the app is “hidden” though, until you tap the magnifying glass in the bottom right corner. Here’s where the magic happens, and here is where you might want to take a seat if you haven’t already. 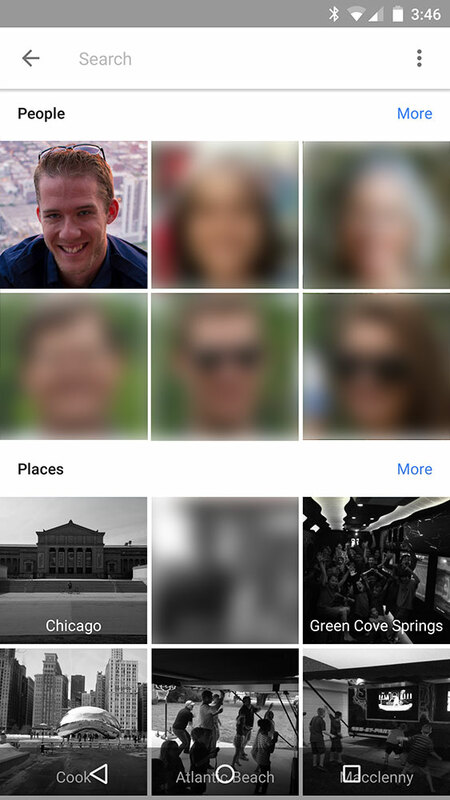 Up top, you’ll see faces of people you (hopefully) know; tap on one of those, and Google will show you all the pictures in your library of just that person. Choose someone who’s grown from a child to an adult, and Google picks them all out and you’ll see the transformation before your eyes. Now I know that might seem so accurate it’s creepy, but hopefully you can take solace in the fact that Google isn’t using the images to try to identify people, just creating face models of the people in your images to group them together for you. You also have the option to turn this option off in the Settings. If you go back to the main search screen and scroll past the Places section, you’ll begin to understand the real power of Google Photos as an organizer. The third section is (vaguely) named Things, but it automatically categorizes your images by everything in them besides people. Mine, for example, starts with Dogs, Screenshots, Sky, Concerts, Skyscrapers and Skylines. Keep in mind, I have done no tagging or manual organization of these photos whatsoever. If you haven’t fully grasped the gravity of what I’ve explained so far, think about it. After a bit of processing time, Google will have combed through your thousands of photos—from the one you took of yourself in the gym yesterday to the one you took of your dog when he was a puppy 10 years ago—and neatly organized them all with tons of keywords and metadata. Over the years, Google has dipped its hands into so many projects that sometimes you might forget it’s a search company. They’ve made search so easy you don’t have to think about it anymore, and the same can be true with your own pictures. After playing with some of the categories of People and Things, why not try an actual search? I’ve got a couple ideas: first, I have pictures of sports venues from Florida to Chicago, and Google nicely created a category just for Stadiums. But what if I’m looking for just pictures of Wrigley Field? After what we’ve already seen, we shouldn’t be surprised, but I still am. 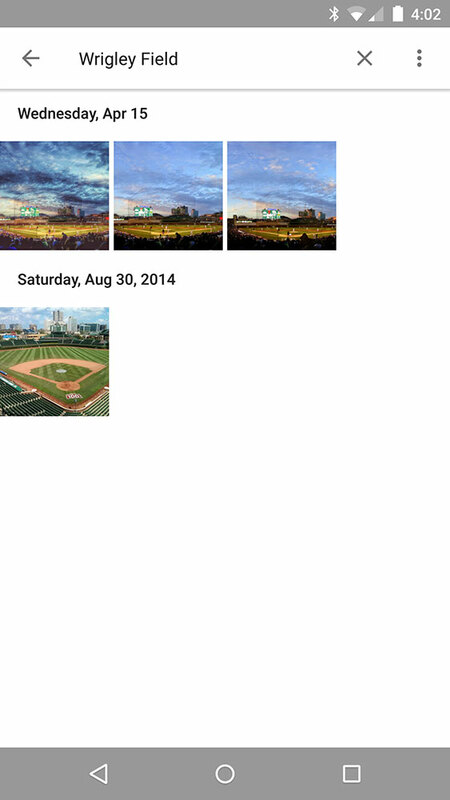 Google returned just my pictures of Wrigley Field as though I’d tagged them myself. An item of note: I know it hasn’t returned every picture I have of Wrigley Field, but it also hasn’t added in any erroneous images. So let’s step it up a notch on the complexity and specificity. 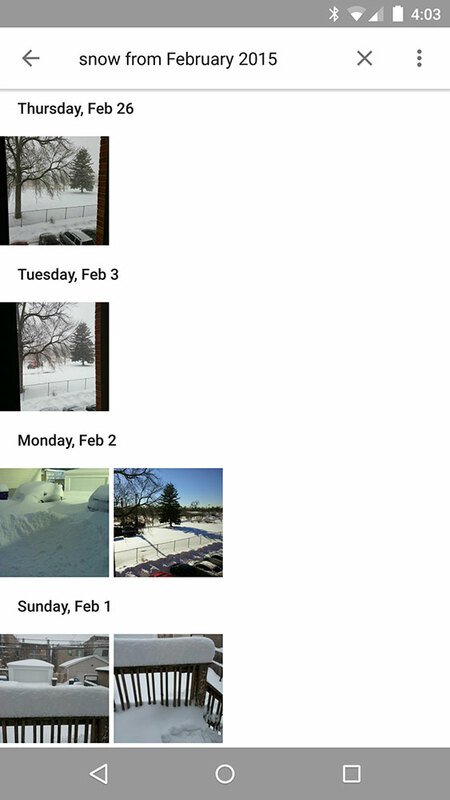 I just want to show my friend pictures of how crazy the snow was in Chicago through the month of February this year, so I search for “snow from February 2015.” Again it should be unsurprising, but the search returned the exact pictures I asked for with the added criteria of a date range, expressed in natural language. 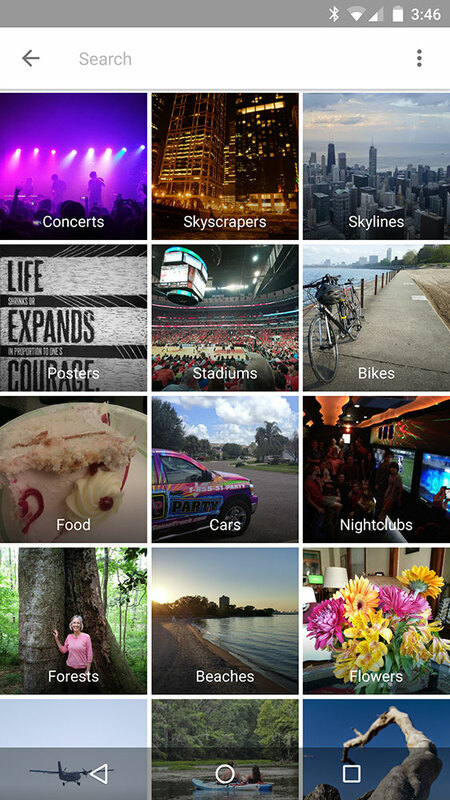 Basically, there’s no reason not to love Google Photos, and happy playing! There are a ton of features to the app I haven’t even mentioned (like super simple sharing), but I’ll let you explore those on your own. Let me know some of your favorite tricks or uses in the comments!